NF (5597) : Third day repeat the same levels : Support 5549-5529 and resist 5620-5640 above this target 5730. but Below 5529 next support exists at 5477-5467. BANKBARODA (838) - Above 834, last hurdle exists at 854 but after that shortly going to attack 900-904. BHARTIATRL (352) - Above 352 shortly going to attack 446_453. HEROHONDA (1706) - If not break 1700-1690, then move to 1750 and 1800. HINDPETRO (528) - Already supported at 510-508 and once move above 550 going to attack 584-590. HINDUNILVR (274) - Last hurdle 275-277 and above this going to attack 289-292. INFOSYSTCH (2879) - Already double topped at 2910 and now one more attempt going to happen at 2910 But this time if trade and stays above 2910, it take it to 3000_3030 & 3140-3160. 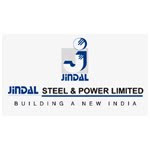 JINDALSTEL (710) - Above 717 take it to 755_775 in between resist at 735. TCS (879) - Above 885, take it to 940 in between resist at 905_915. JSWSTEEL (1216) - On 24th Aug. posted here above 1140 attack 1230 as expected yesterday it made high of 1230 Now what next ? If trade and close above 1230 next attack 1378-1388 in between resist at 1300. otherwise ? WELCORP (257) - Above 258 last hurdle 264 but after that go upto 282_286 . In downside support exists at 246.